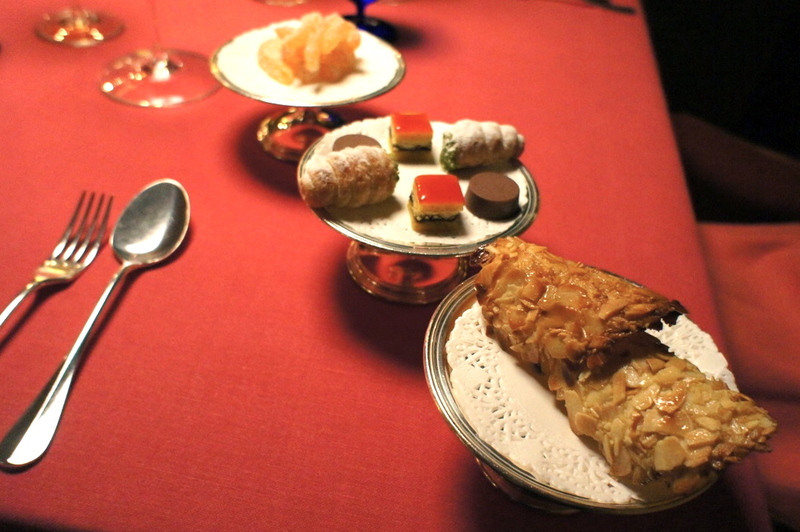 San Domenico is a 2-Michelin star Italian restaurant in the small town of Imola, less than an hour's drive from Bologna. It is located near the centre of town, and because the roads leading to it are restricted to the public, it is usually necessary to park some distance away and walk to the restaurant. 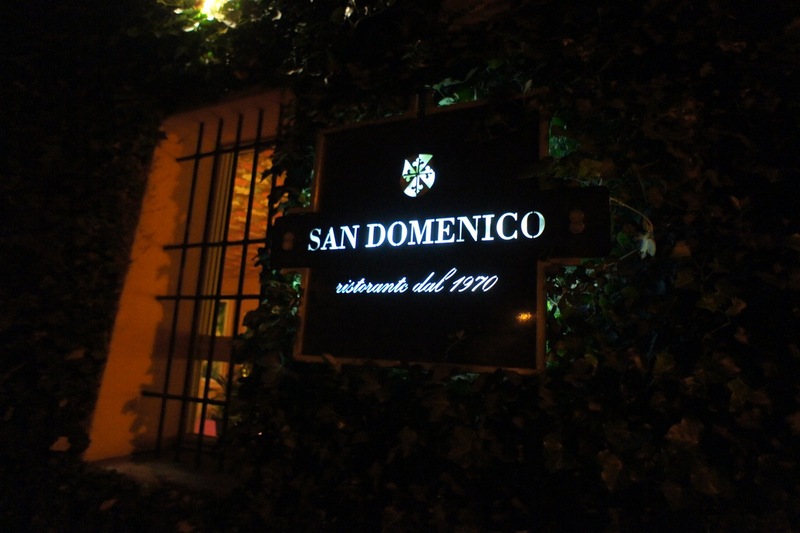 The restaurant itself is in a small park in the centre of which is the San Domenico church. As usual, we got lost trying to look for it, as the GPS was not able to direct us to the best place to park (given that the roads surrounding the restaurant were restricted), so it was a bit of trial and error till we found what we thought was the parking spot nearest the restaurant. Nevertheless, it was still a 20 minutes walk through the old town (which was deserted, except for pockets of activity around a few restaurants and bars along the way). 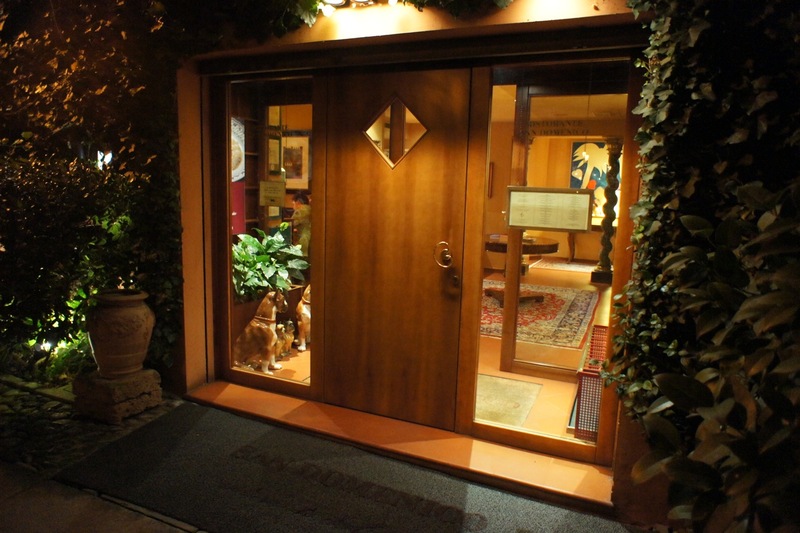 The entrance to the restaurant is in the middle of the building (which the restaurant occupies the whole of), and there are several different dining areas (from what we could see, there were 2 large dining rooms; one on each wing, as well as at least one private dining room). We were seated at a table nearest to a lit fireplace, which was really welcoming after we had been walking for a while in the cold. 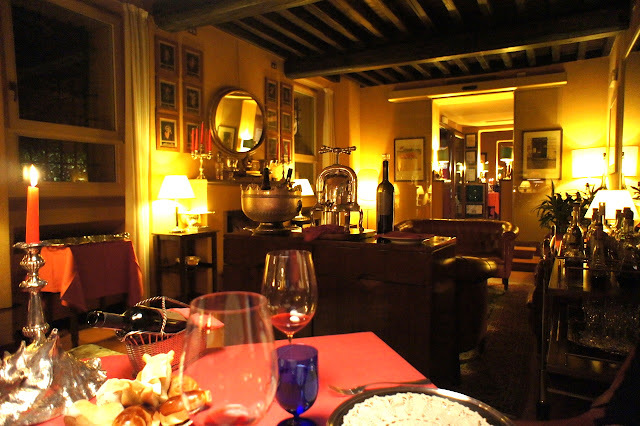 The restaurant is decorated very simply yet tastefully: a classic leather sofa set in front of the fireplace, the dining room lit with lamps and candles, the walls covered with random photos and pictures, the wooden beam ceiling, and our tables covered with red tablecloths. Add to that the warm and friendly service we got all night, and we had ourselves a very enjoyable and comfortable dinner. The service was exceptional that night; the waiters were attentive yet discreet, and we were poured a glass each of complementary prosecco which they would top up when empty (until we had selected our wine). 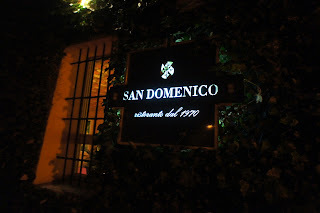 San Domenico had one of the most impressive wine lists of Italian wines we have seen. It had a large selection of older vintages (i.e. older than 1999) at very reasonable prices. This is quite rare nowadays even in top restaurants, and even more unusual is to find the 1997 vintage (believed to be the best Italian vintage of all time) for various different labels. San Domenico had at least 10 different 1997 barolos. 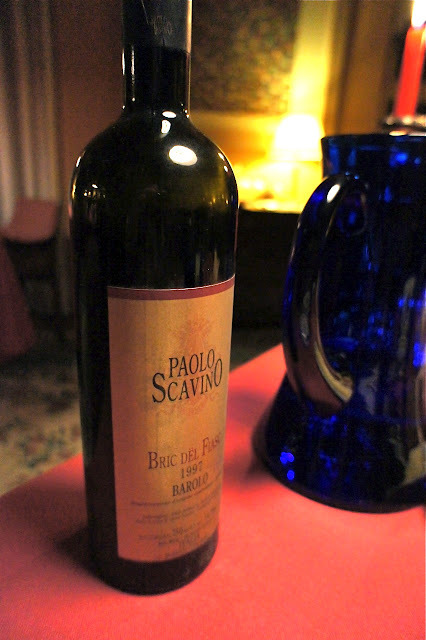 We sought the help of the very friendly sommelier, and ultimately chose the 1997 Paolo Scavino Bric del Fiasc. This turned out to be one of the best wines we ever had, and the 1997 was fully mature and drinking excellently. Best of all, it was priced very reasonably. It's one thing to find a rare vintage of your favourite wine in a wine list, and it's another to find that it is within your price expectations. Paired with such exquisite wine, dinner had better be good; and it was. 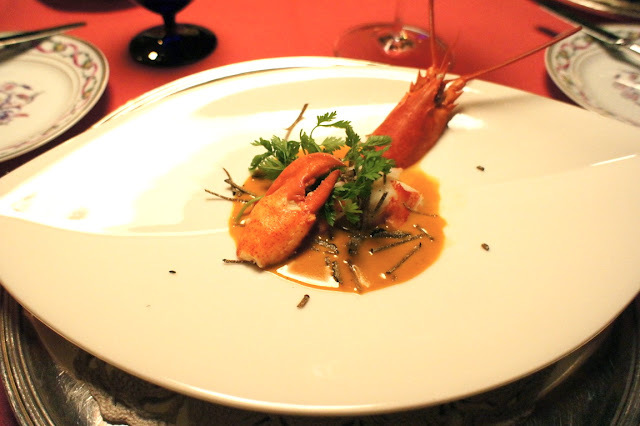 We chose the autumn seafood tasting menu, and were started off with the two course of amuse bouche: the first was a tray of canapes, and the second was a very rich and tasty bisque with langoustine meat and crispy croutons. 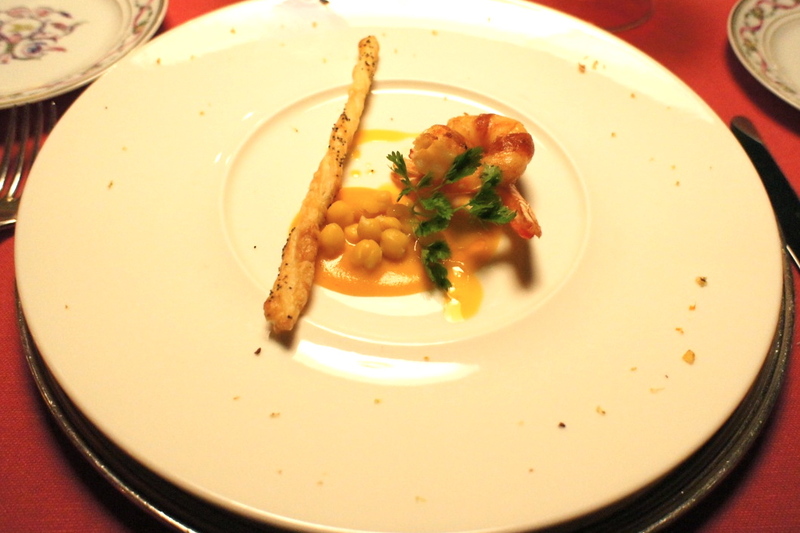 First course was the Adriatic shrimp on a bed of chickpeas with rosemary. This was very good, as the shrimp was crispy on the outside and juicy on the inside. This was followed by the braised lobster tail with sweet paprika sauce and black truffle, which was also excellent; the lobster was cooked to perfection and the sauce was a good complement. 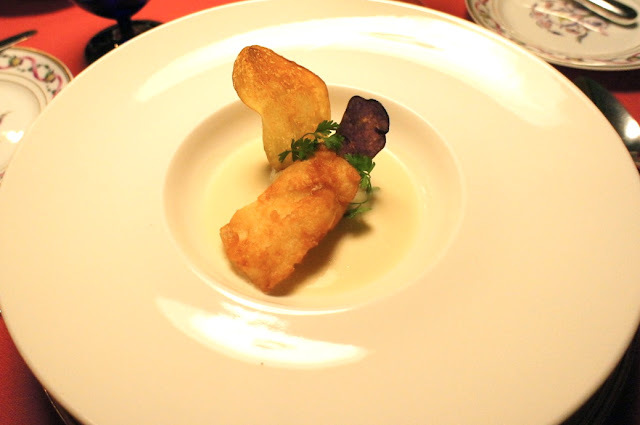 The tempura cod in onion and parmesan sauce was a nice interlude to the succession of crustacean dishes, it was clean and light tasting, with the cod nicely breaded and the creamy sauce giving flavour to the fish. Then it was back to lobster again with the "Imola Red" potato gnocchi with shellfish and squid ragout. This was exquisitely prepared, and despite the fact that gnocchi typically fills me up very quickly and very often ruins the rest of the meal for me, I managed to finish this up quite easily with room to spare. 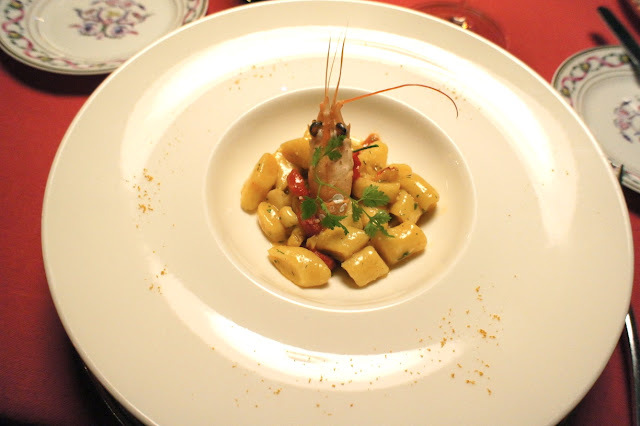 The seafood ragout added a layer of complexity to the gnocchi which differentiated it from the regular gnocchi dishes (which tend to be creamy and heavy). 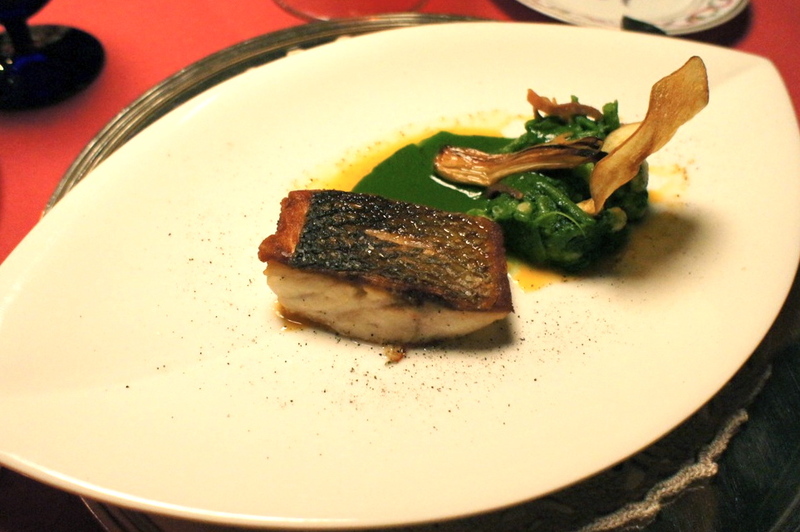 The main course was the fillet of sea bass with turnip greens, bacon and cannellini beans. The sea bass was nicely baked with a crispy and savoury skin and the slightly sour vegetables took the edge of the saltiness of the fish. A very good end to the seafood dishes. 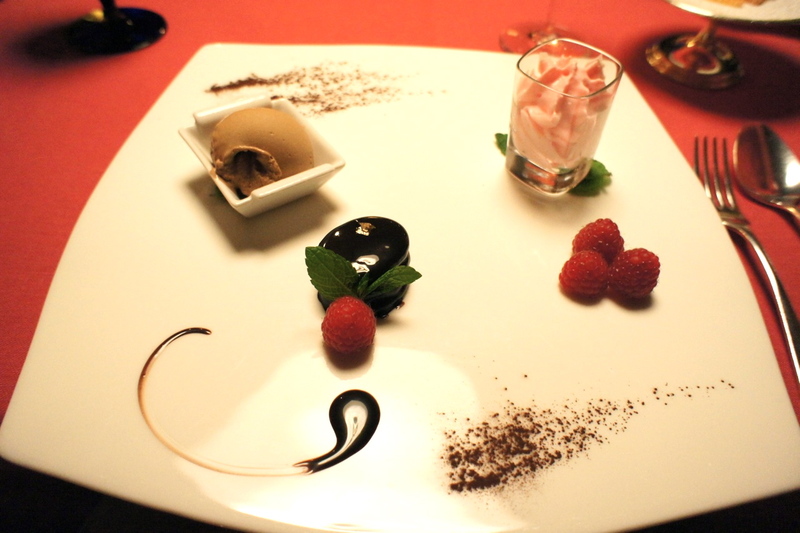 We were served a good selection of petit four (the sugar coated grapefruit was popular with us), and dessert was an elegant effort of ice cream, an alcoholic rose-flavoured foam and a rich dark chocolate parfait. It was a superb dinner. 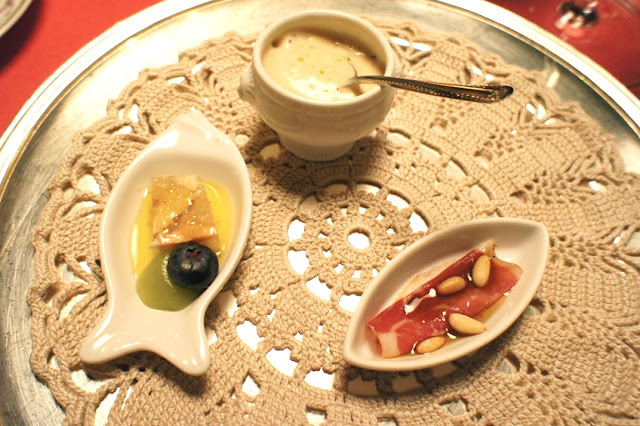 Granted, the food was very good but not extraordinary, yet the culmination of the ambience, the fantastic service, and the incomparable wine made it quite an unforgettable dining experience. The wine list alone made this trip worth it. Final Thoughts: This was an excellent seafood menu, classically prepared and every course was very enjoyable. Yet what made this restaurant stand out was every thing else. Its wine list was superb and had a broad and deep collection of Italian wines at quite good prices. The ambience was elegant yet warm and homely, making us feel very comfortable and relaxed. Finally but not least its service, which was first class; the waiters were discreet yet attentive, friendly yet professional and knowledgeable of the food and the wines. I didn't realise that you'd updated! 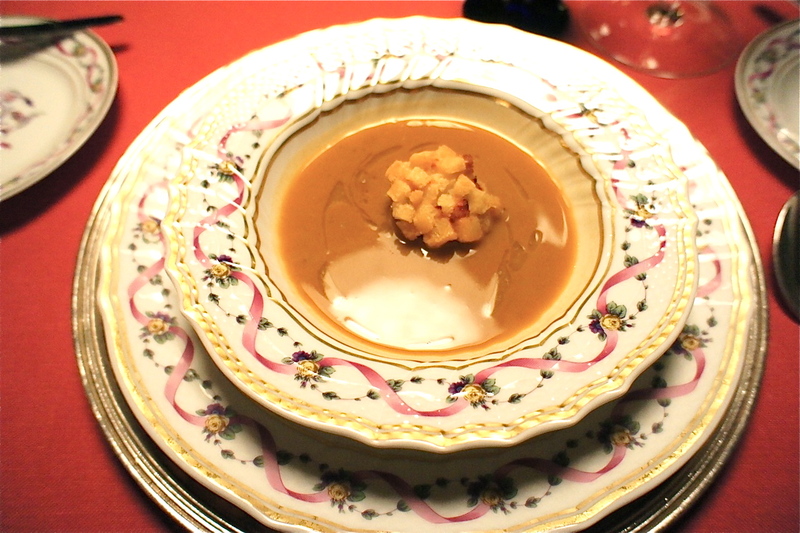 The bisque and gnocchi are making me very hungry right now.